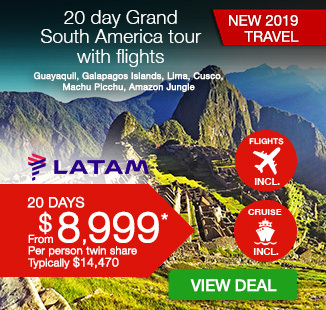 15 day Treasures of Yucatan tour with all-inclusive Cancun beach break including return international flights, accommodation, breakfast daily, private coach transportation, in-depth sightseeing, tour guides and more. 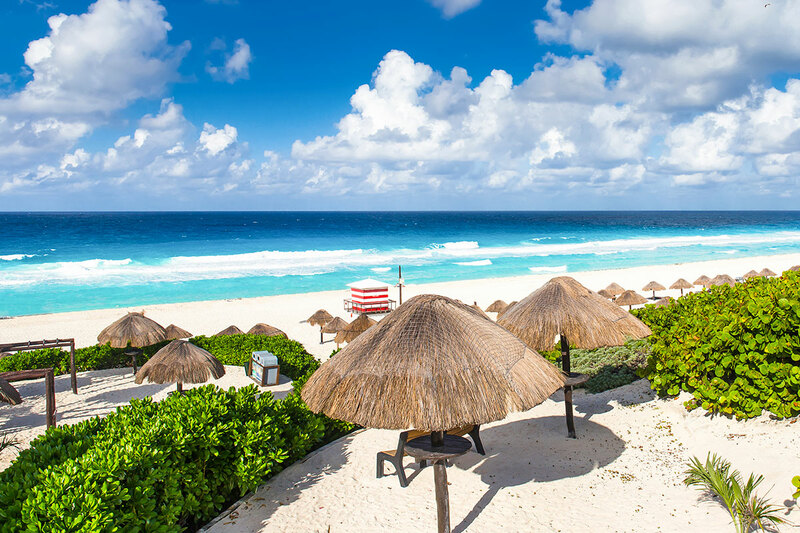 Unearth the beauty of coastal Mexico with a 15 day Treasures of Yucatan Peninsula tour with Cancun beach break. Journey to Playa del Carmen and visit the largest pre-Columbian city built by the Maya people, Chichen Itza. Enjoy a visit to the Celestun Biosphere Reserve in Merida, a place that hosts a combination of coastal scrub, estuary and mangrove. 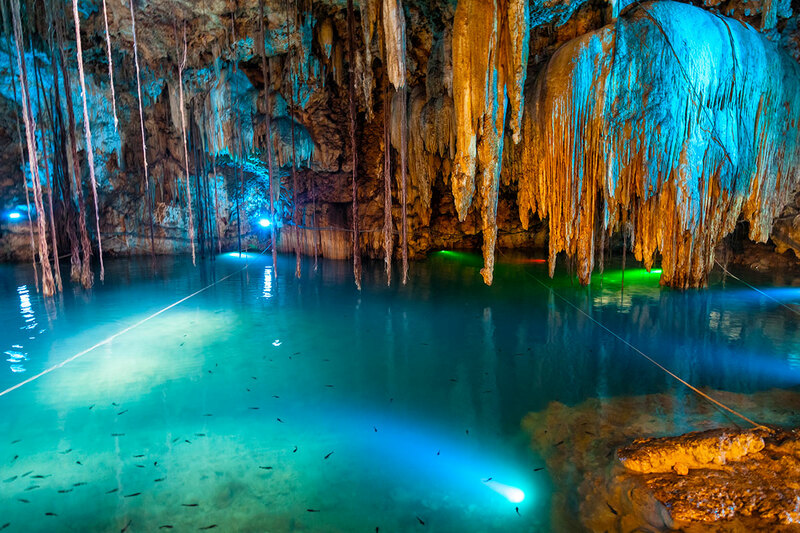 Explore the impressive Loltun caves in Oxcutzvab, a natural dry underground cave network. 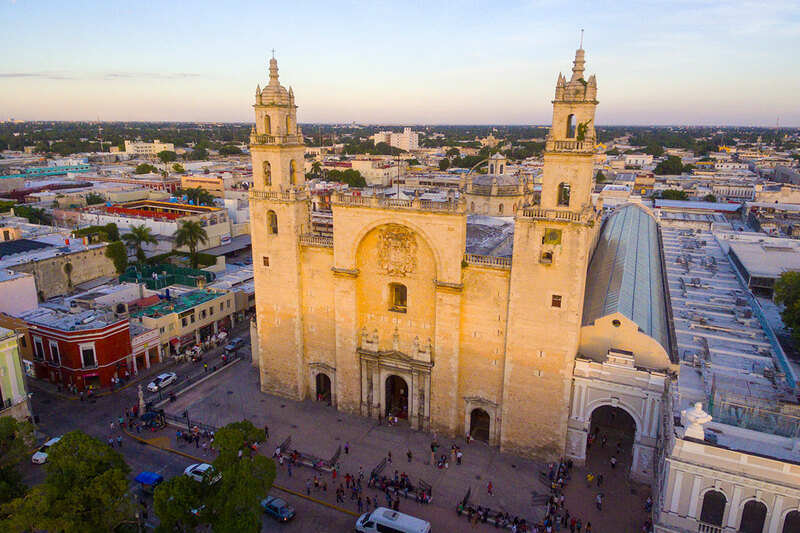 Travel from Campeche to the city of Valladolid and wander the charming town which is full of colonial era churches and architecture. 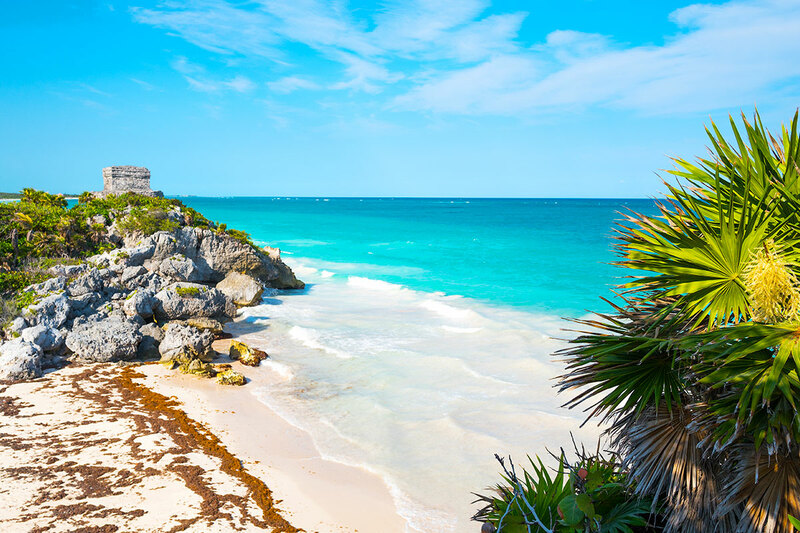 Arrive at gorgeous Tulum, a beach paradise located on the Caribbean coast. Visit Aktun Chen Natural Park and learn about the exotic flora and fauna as well as swimming in an underground river. 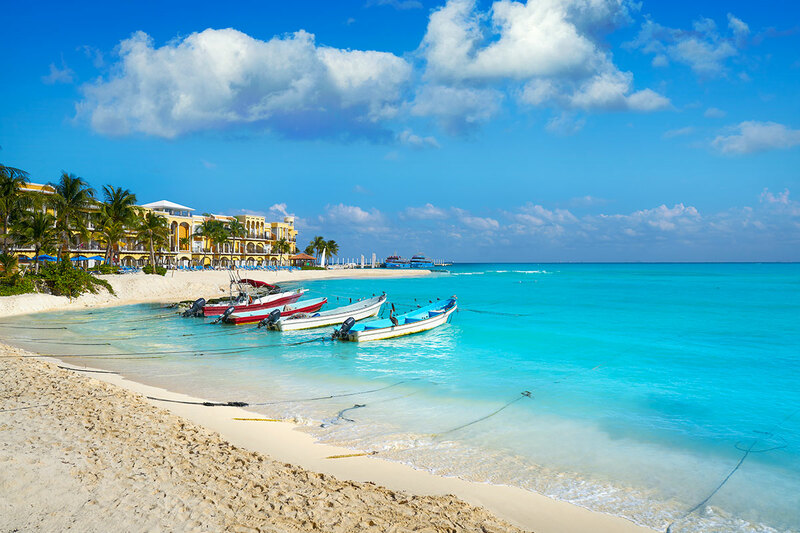 Unwind on the white sandy beaches of Cancun where you can choose do as little or as much as you like, before your incredible trip comes to an end. Depart Australia for Mexico! 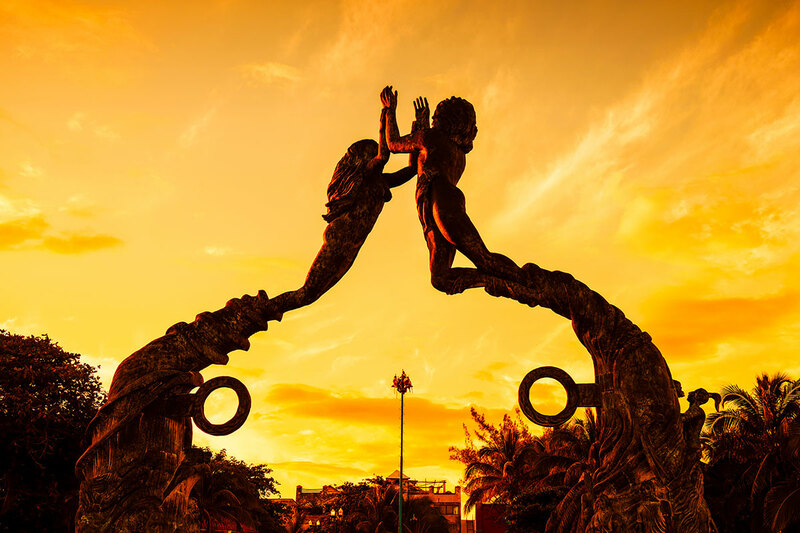 On arrival into Cancun, you will be met and transferred to your hotel in Playa del Carmen. Your adventure begins with a welcome meeting, please look for a note in the hotel lobby or ask reception where it will take place. Enjoy a full day of leisure to explore this beautiful resort town at your own pace. After breakfast, we visit the largest pre-Columbian city built by Maya people, Chichen Itza, also considered a mythical city. Get to know the ruins and this historical place full of mysterious secrets. 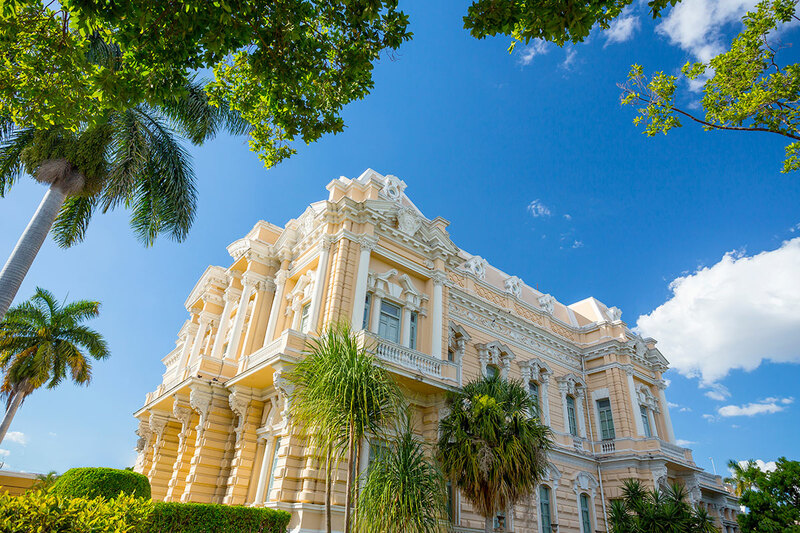 We then make our way to Merida, the largest city of the Yucatán Peninsula. Today you will enjoy Celestun Biosphere Reserve, a combination of coastal scrub, estuary and mangrove which provides an excellent habitat for wildlife of many sorts. Celestun means ¨Painted Stone¨ in the Mayan Language. After breakfast, we make our way to to the small and traditional Mayan city of Oxcutzcab. We’ll start with a visit to the regional market which is the centre for distribution of fruit and vegetables in Yucatan. Our next stop is the Loltun Caves network set amongst lush green jungle covered hills located just outside of town. The caves are a large, impressive and beautifully natural underground dry cave network that we will explore. Please remember to bring your swimsuit and a towel. After exploring the caves, we’ll travel to the world heritage listed harbour town of Campeche where we will spend the next two nights. 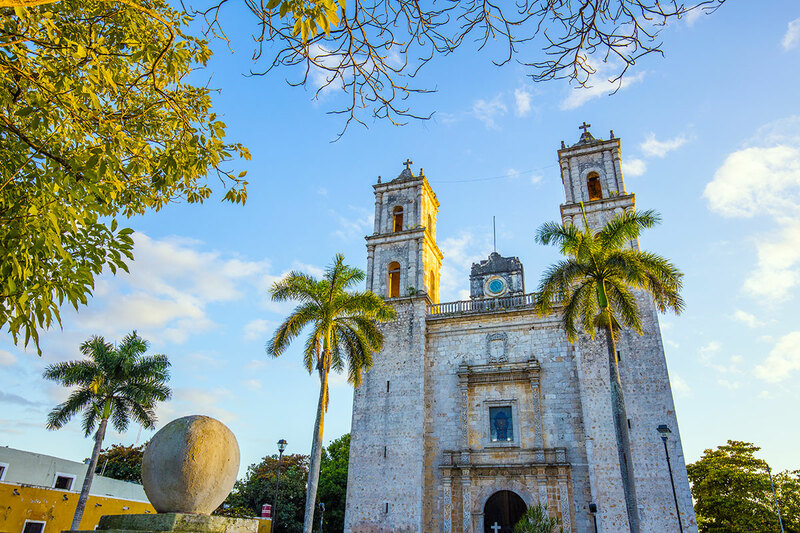 Spend the morning enjoying a guided walk along the Malecon, a paved pathway running alongside the Gulf of Mexico and the historical centre of Campeche. The rest of the day is free to further explore this impressive seaside city with its 16th century walls and colourful, historic buildings. After breakfast, we head to the city of Valladolid. 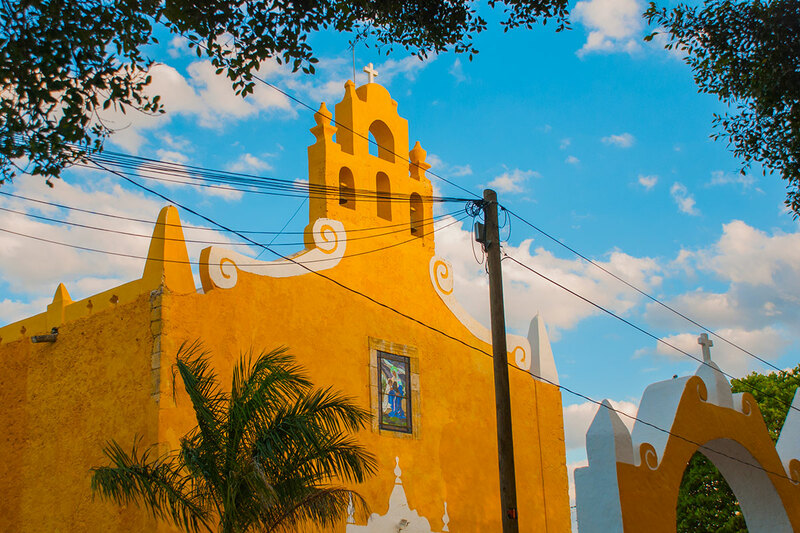 On arrival, enjoy a guided walking tour around the town’s charming colonial era churches and architecture. 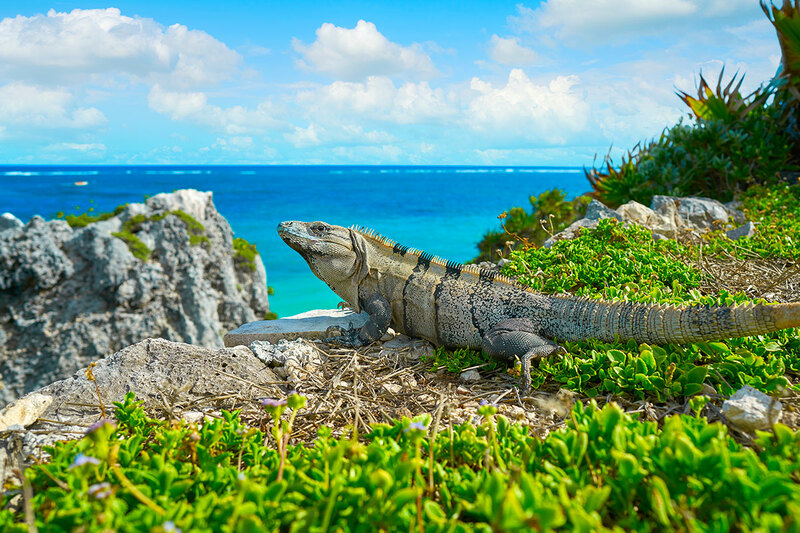 Today we head a further 2 hours East to Tulum, a beach paradise on the Caribbean coast. The remainder of the day is at leisure to relax on the beach or stroll along the white sands. The town itself is small so your leader will take you on a brief orientation walk upon arrival. You may also wish to visit the picturesque walled Mayan archaeological site that overlooks the sea. Today, visit the Aktun Chen Natural Park. In this tropical paradise, you will be able to enjoy exotic flora and fauna as well as enjoy swimming in an underground river! 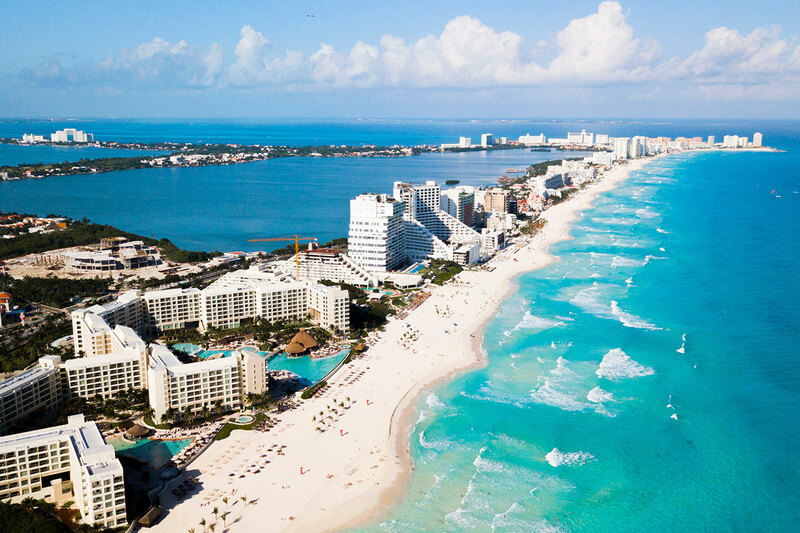 After breakfast, we make our way towards to Cancun to begin your beach break. On arrival, check into your all-inclusive resort and enjoy the remainder of your day at leisure. Excludes: Travel insurance, visas, tipping and gratuities, personal expenses. Arrival & Departure Transfers – these are based on one group transfer. Single Supplement: $899 per person in addition to your twin share voucher. Return economy airfares departing Sydney, Melbourne, Brisbane, Adelaide or Perth with Virgin Australia, Delta, Air New Zealand, Qantas or similar.